Maybe it is just me. I can think of many issues in the corporate world that might be worthy of ridicule. I wouldn’t poke fun at language that potentially helps bring thousands of people together into one culture across several different sites, and perhaps different time zones. Sometimes though language can obscure meaning, or be quite passive-aggressive when it is used strategically (I’m thinking of some of the Public Relations flavoured speech of the character Stewart Pearson, in Armando Iannucci’s comedy The Thick of It). None of these is out and out offensive to my mind (as long as they are not strung together thoughtlessly in the same Bull S$!t Bingo-worthy sentence). Mind you, if I was coaching someone who had ‘issues’ with an option they wanted to take I might have to stop and check what exactly that meant for them. Otherwise the list is fairly innocuous. Luckily ‘Kicking This Into The Long Grass’ and ‘Low Hanging Fruit’ don’t feature in the top ten, as those do sound too jargon-like, even for me. As you may recognise there is a theme of ‘confidence’ running through many of the posts this year. That’s not a surprise, as I happen to think we all benefit from confidence, which stems from receiving empathic and effective parenting as young people . In the context of confidence I blogged about G4S last year. In hindsight the organisation was over-confident that their standard recruitment system could deliver exceptional results in hiring Olympic security staff before the 2012 Games. 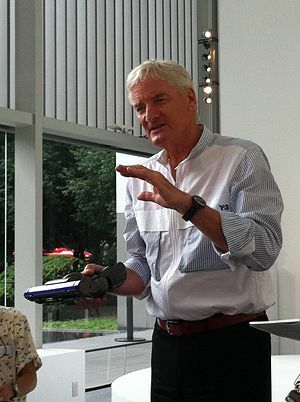 I also mentioned Sir James Dyson, who displayed the appropriate level of confidence in knowing that his revolutionary vacuum cleaner design would, eventually, work. I recently considered how the young mobile phone app designer, Nick D’Aloisio, has the right amount of it to have successfully created and sold on Summly before the age of 20. I wonder if more coaching for parents is a partial solution. If parents can be supported in encouraging their children to grow into confident young people (who feel adequately nurtured and emotionally secure) they may be less likely to grow up as bullies, or as those who face bullying. Who knows, less anti social behaviour and aggression might result too. An added pay off down the road would be a more resilient generation, better equipped to deal with the challenges that get thrown at them later in life. If a fraction of that was the case it would be a good result simply from coaching interventions. I came across an interesting www.mindtools.com interview with Brian Tracy recently on the theme of building self-confidence. There are seemingly people in the public arena who are developing their self-confidence as well as those who appear more confident. I wondered how applicable confidence-based perspectives would be to some trending news topics. First, would Liverpool FC’s Luis Suarez find anger management even more helpful if he focused confidently on being the best striker he can be, without acting aggressively when challenged? Secondly, would Jan Moir be a more celebrated Daily Mail columnist if she thought more positively about others’ efforts? Thirdly, could looking forward to the next phase in their lives be any sweeter for the members of successful singing group JLS, once their final tour is complete? Finally, could a discussion featured in the Guardian newspaper, about the nature and importance of good quality public services be more timely? There are supposedly five stages of grief associated with significant change. Elizabeth-Kubler Ross identified them as Denial, Anger, Bargaining, Depression and Acceptance. Without commenting on the politics involved it seemed to me that people in Durham – and elsewhere – celebrating Lady Thatcher’s demise were acting out their anger. They were nowhere near accepting that changes had affected local, national and international communities. Lady Thatcher’s biographer, Charles Moore, singled out the BBC as a broadcast outlet which ‘behaved badly’ in stirring up non-issues about Thatcher dissenters. In his grief he may have experienced some denial, as Sky News coverage of anti-Thatcher sentiments seemed to be just as extensive. 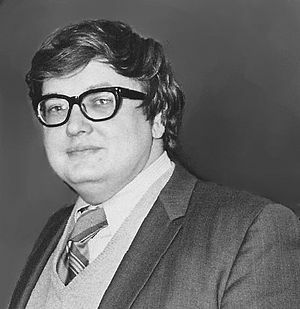 US film critic Roger Ebert’s inspiring achievements (both before his 2006 life-changing health crisis and subsequently) are also food for thought regarding the five stages model. The BBC’s Ouch blog posting below contains details. Here is a post I promised earlier concerning the Iron Lady. Back in the spring of 1979 at my school Mr Robinson’s sociology class was set a topical assignment. We were given a project brief to write about the upcoming election in any way we chose. I chose to survey the local shop keepers’ voing intentions; cut the editorials out of the newspaper; and watch a range of political programmes on BBC and ITV (this was years before multiple channels and social media). Being a bit retentive I still have the project I completed all that time ago. It is quite something to look back at what I wrote then, a few days after Lady Thatcher‘s funeral service at St Paul’s Cathedral. My conclusion in 1979 was that Mrs Thatcher won the election because workers wanted her to control their soaring taxes. I also thought that underneath her ‘mother knows best’ persona was a much harder woman, who could do battle with the best of them. I additionally thought that her offer to strivers, council house tenants, and small business people seemed to have helped her secure her victroy. Who knew then that, subsequently, war in the Falkland Islands; struggles with the National Union of Mineworkers; establishing the Right To Buy council houses and the deregulatory ‘Big Bang’ in the City of London would help her toward two further election victories and cement her reputation as one of the significant political presences of the post-war era. Amazing what can be achieved with a strong sense of self-esteem; defining set of values (Thatcherism) ;coaching to establish a powerful personal brand; and an instinct for meeting the aspirations of the politically non-aligned. Even then it was possible to see that by standing out so clearly from the political crowd she would distinguish herself one way, or another. Without a great fanfare Dame Joan Bakewell has celebrated her 80th birthday. She has been a mainstay of the brodcast world since the 1960s and shows no sign of taking it easy now. It is a long way from the BBC’s ‘That Was The Week That Was‘ programme with David Frost, to Sky Arts 2013 portraiture competition, capturing the essence of Hilary Mantel. The Guardian newspaper has a modest editorial on that subject, which I found interesting. http://www.guardian.co.uk/commentisfree/2013/apr/16/in-praise-joan-bakewell-editorialI was thinking of the impact of people living longer and enjoying good health when I came across some research from Age UK, the chariy for older people, concerning ‘Improving Later Life’. Apparently one of the key issues for those in their mid to late 80s is continuing to have social interaction, to counter the trend to loneliness and isolation which might other wise set in. Both of these points are important. Remaining active and engaged with the world, whilst combatting isolation, help individuals sustain their health, well-being and confidence. There is also a tremendous opportunity for self-discovery as there is more time in which people can indulge in some life long learning and further spiritual growth. That’s a win for older people, their families and the community at large.